[email protected]: Thank you for soooo many nice comments regarding my Oval Office speech. A very interesting experience. Pence: Headed to meeting with @HouseGOP at Capitol about border security. @POTUS is determined to stand strong to build a wall and provide the kind of resources and reforms that are necessary to address the humanitarian and security crisis at our southern border. The chairs of 7 House committees have written a letter to Steve Mnuchin demanding more info about why sanctions on Oleg Deripaska's businesses were lifted, and requesting a delay in the sanctions termination until members are fully briefed. US Supreme Court rejects appeal from an unidentified company in a foreign country that was seeking to escape a grand jury subpoena that is widely assumed to be sought by Special Counsel Mueller's prosecutors. "The administrative stay previously entered . is vacated." Paul Manafort's attorneys failed to properly redact their filing. 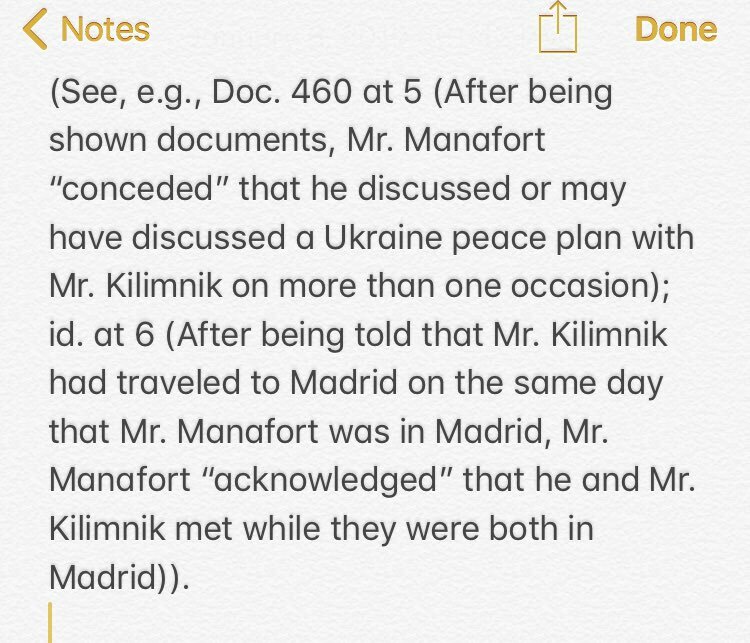 They reveal that Mueller alleges Manafort "lied about sharing polling data with Mr. Kilimnik related to the 2016 presidential campaign". Konstantin Kilimnik has alleged ties to Russian intelligence. Kellyanne Conway on Fox News last night said the administration's claim that 3,755 known or unknown militants were blocked at the border "was an unfortunate misstatement". [email protected]: Congratulations to a truly great football team, the Clemson Tigers, on an incredible win last night against a powerful Alabama team. A big win also for the Great State of South Carolina. Look forward to seeing the team, and their brilliant coach, for the second time at the W.H. 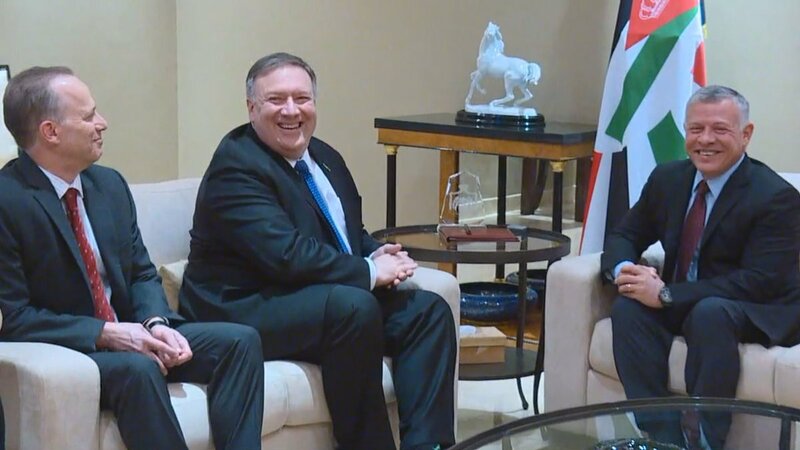 Secretary of State Pompeo tells King Abdullah of Jordan he saw an early draft of the president's address to the nation tonight: "He'll make a lot of news," and then laughed. [email protected]: Economic numbers looking REALLY good. Can you imagine if I had long term ZERO interest rates to play with like the past administration, rather than the rapidly raised normalized rates we have today. That would have been SO EASY. Still, markets up BIG since 2016 Election.